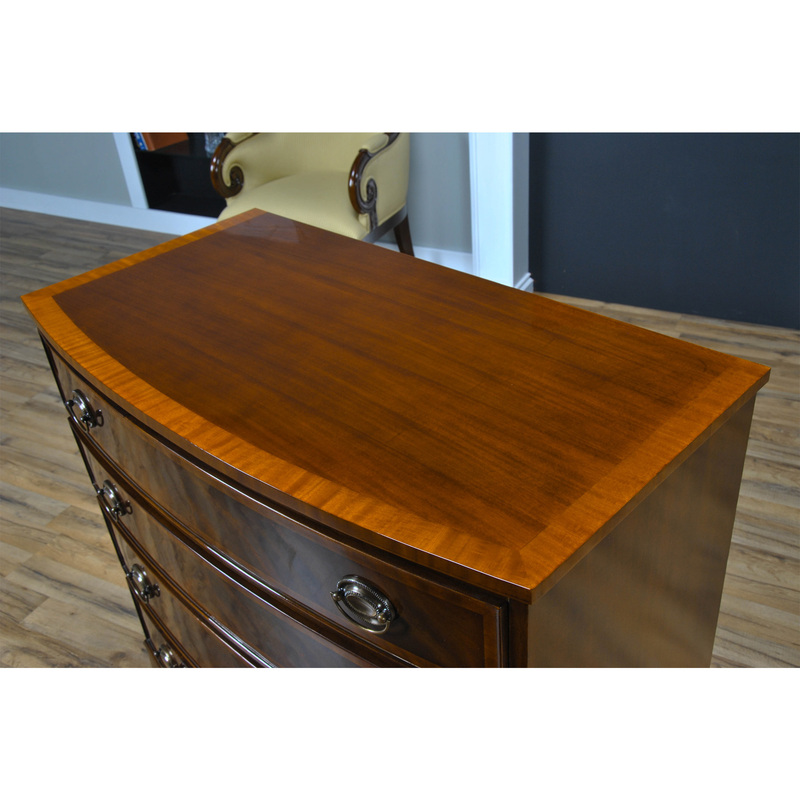 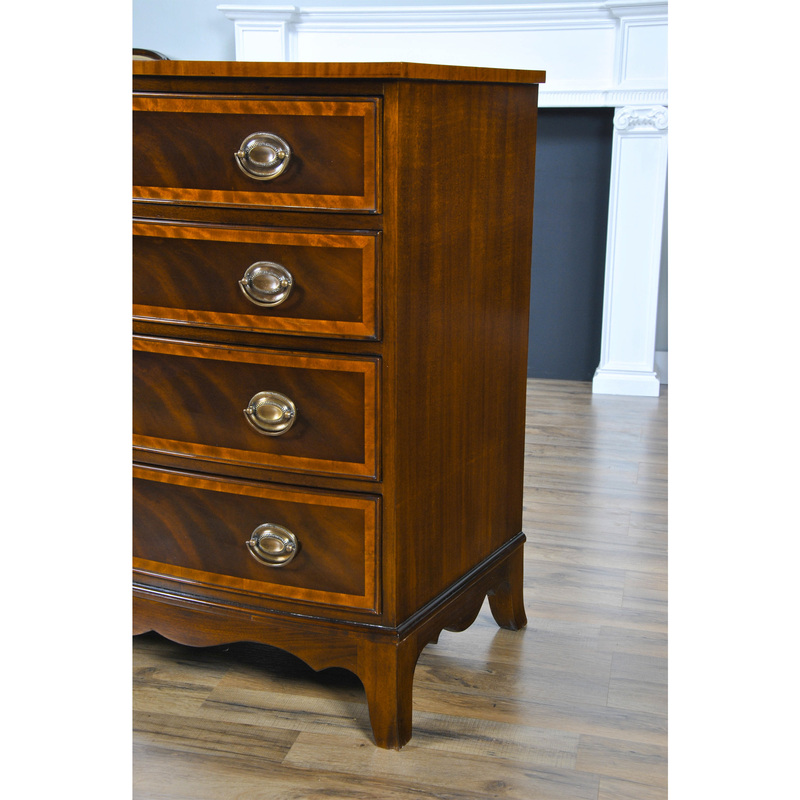 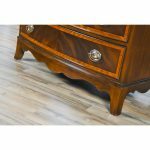 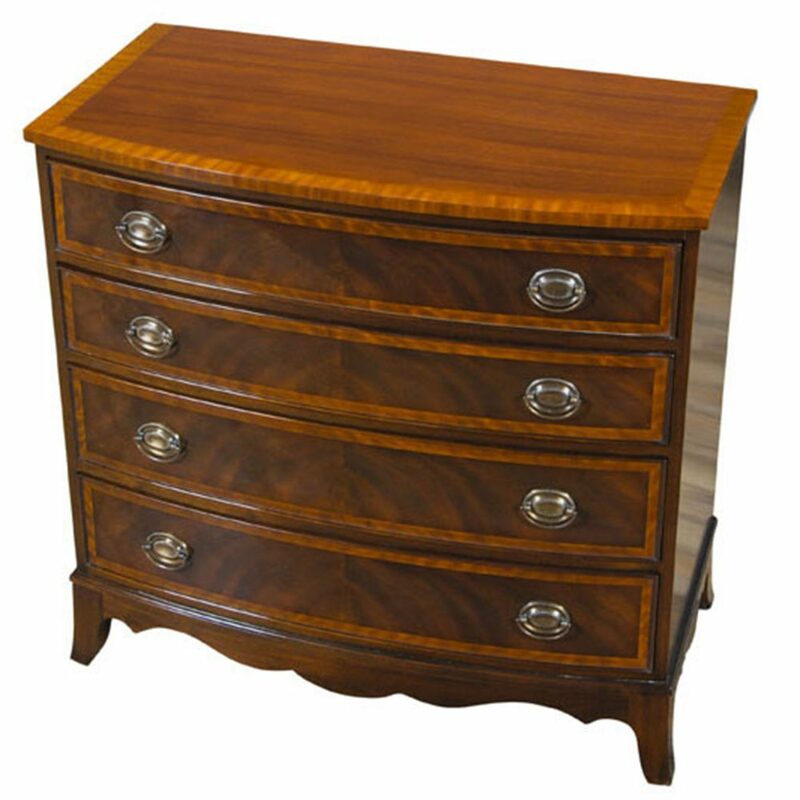 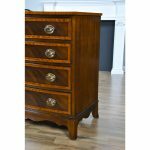 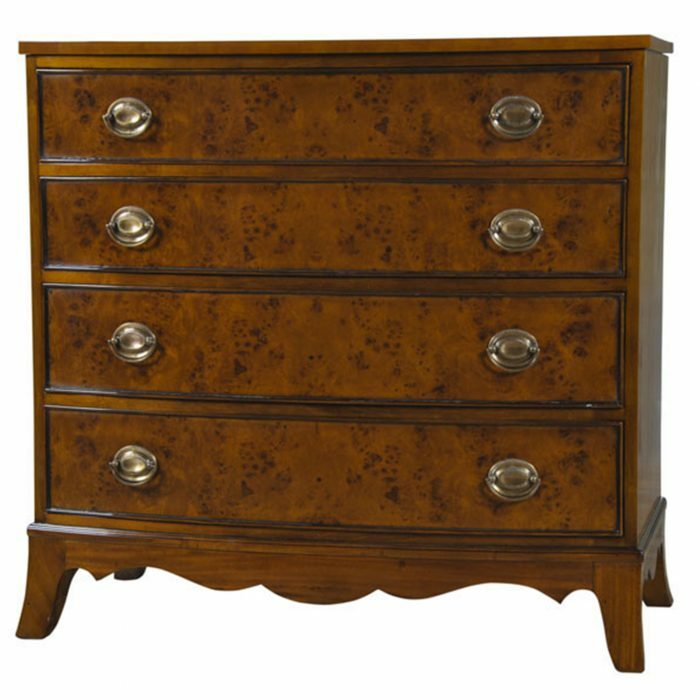 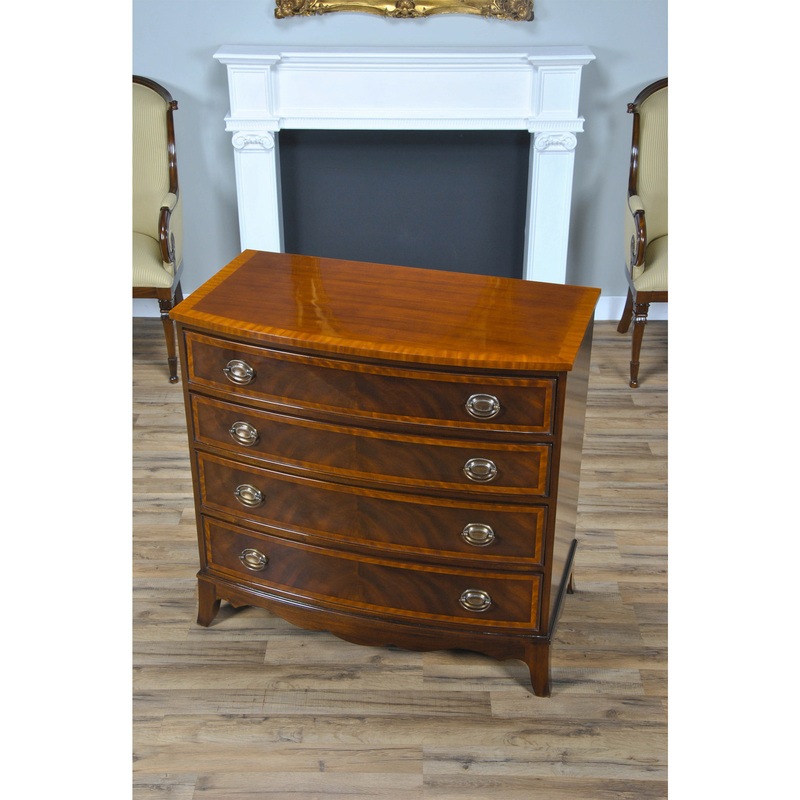 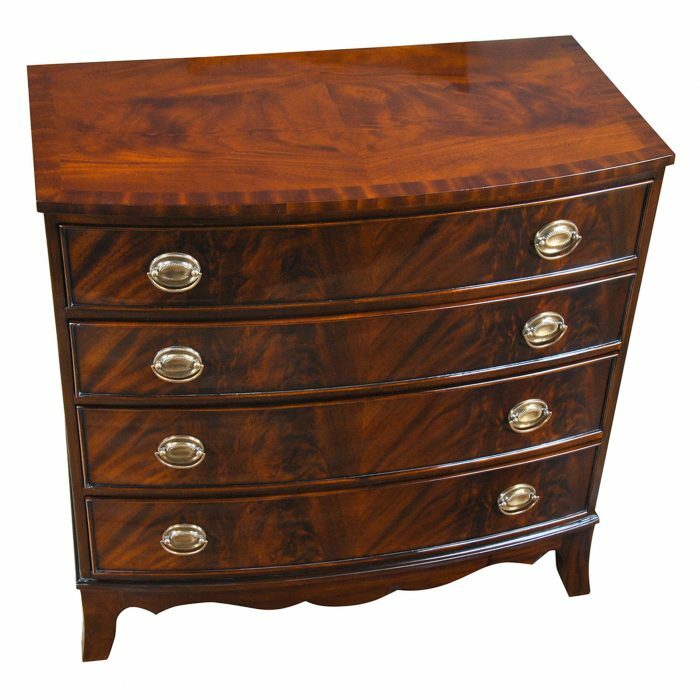 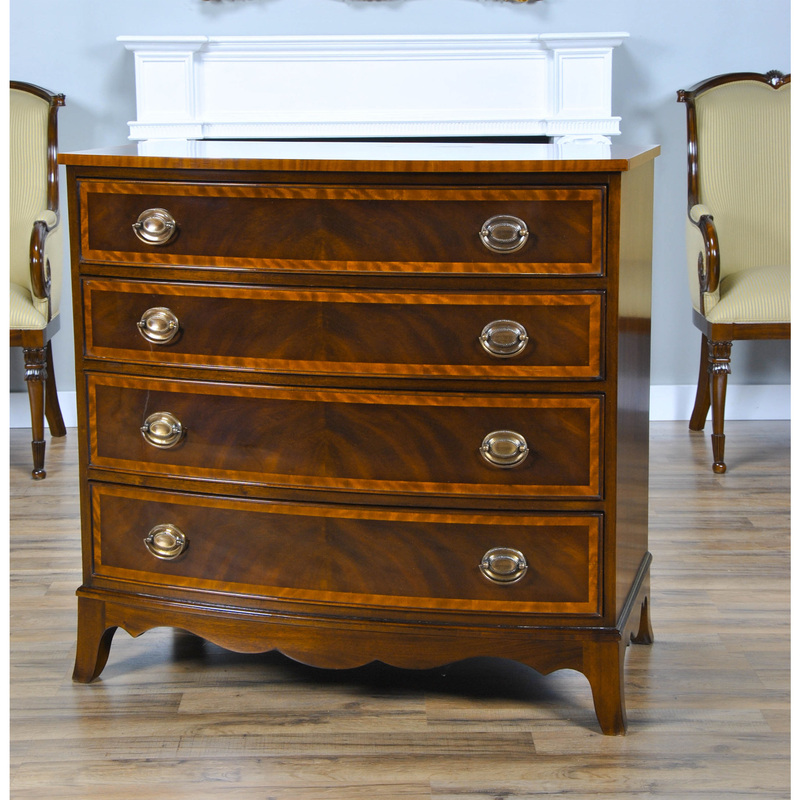 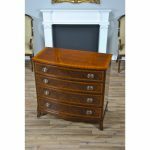 A gorgeous bow fronted Mahogany Banded Hepplewhite Chest of graduated drawers that features great quality mahogany and satinwood banding throughout. 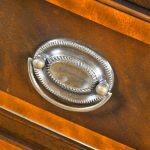 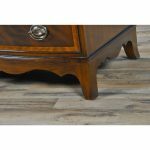 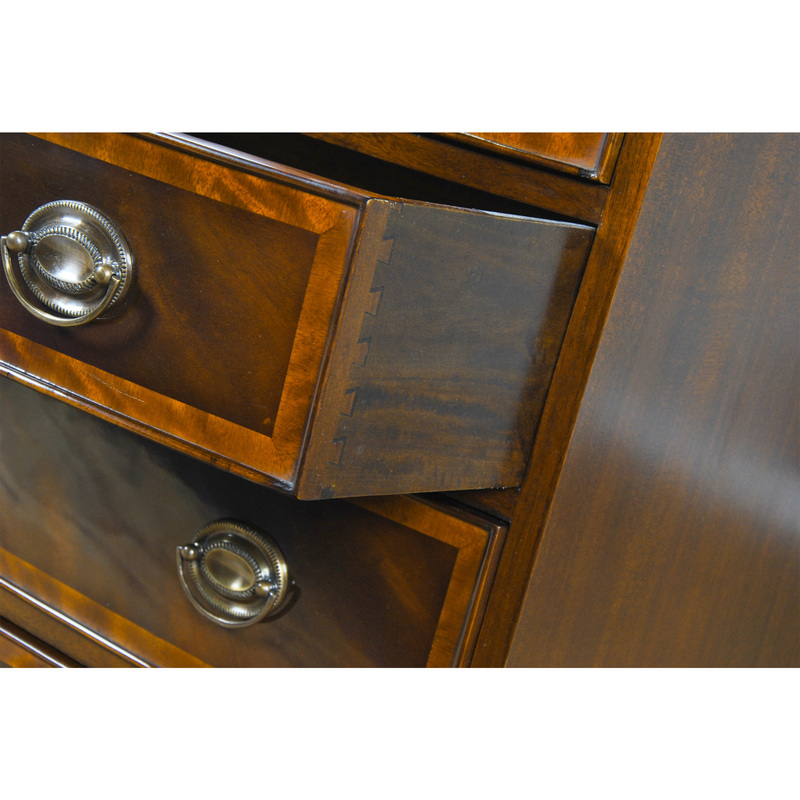 Elegant design and great materials combine with dovetailed drawers to create an ideal piece that is both attractive and functional. 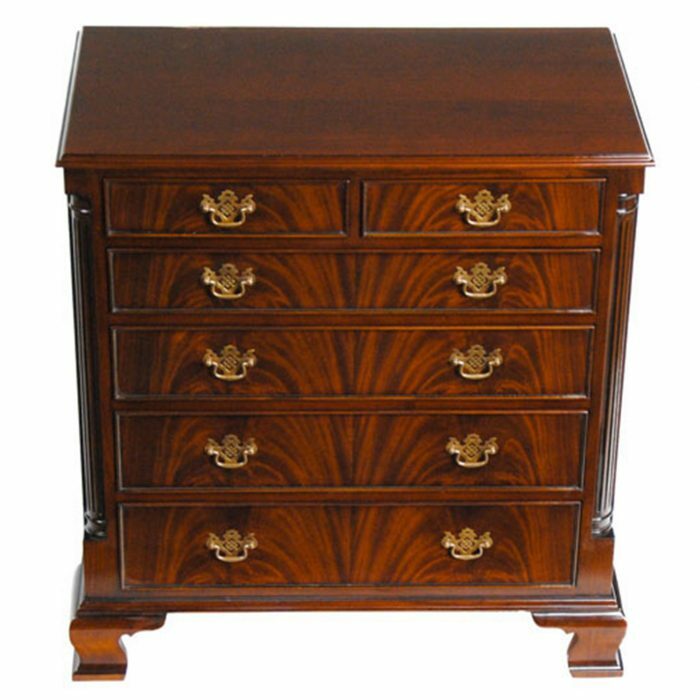 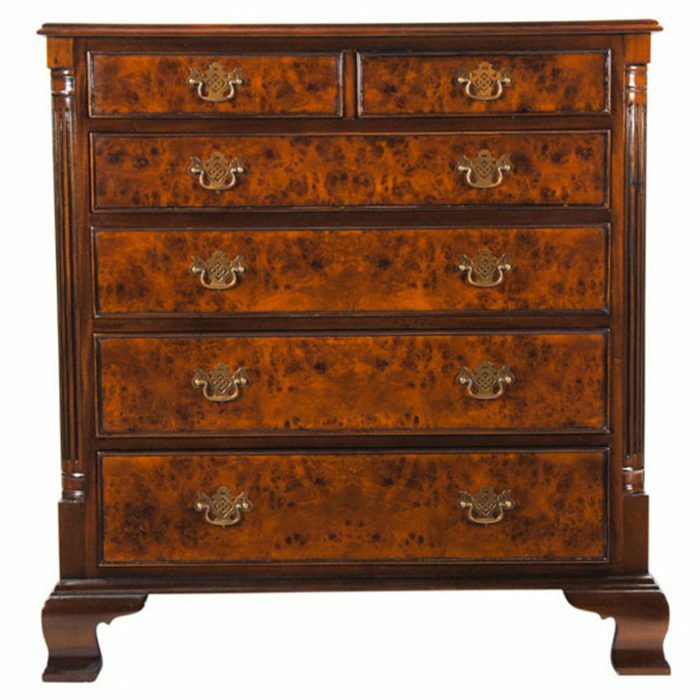 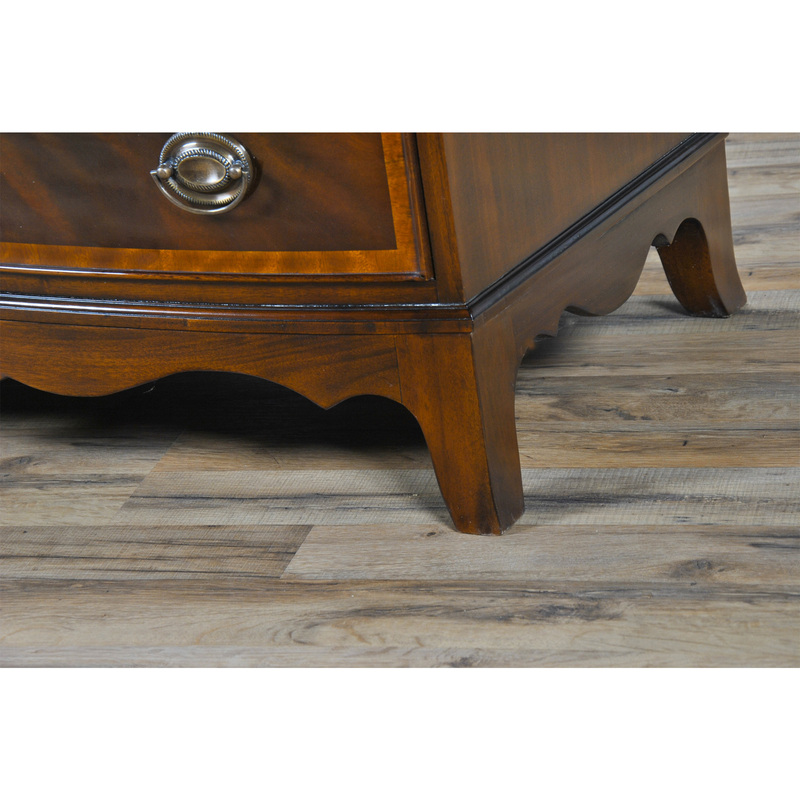 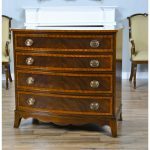 Inspired by the designs of George Hepplewhite, a famous eighteenth century English cabinet maker our Mahogany Banded Hepplewhite Chest can grace any room in your home providing a beautiful focal point as well as a generous amount of storage.